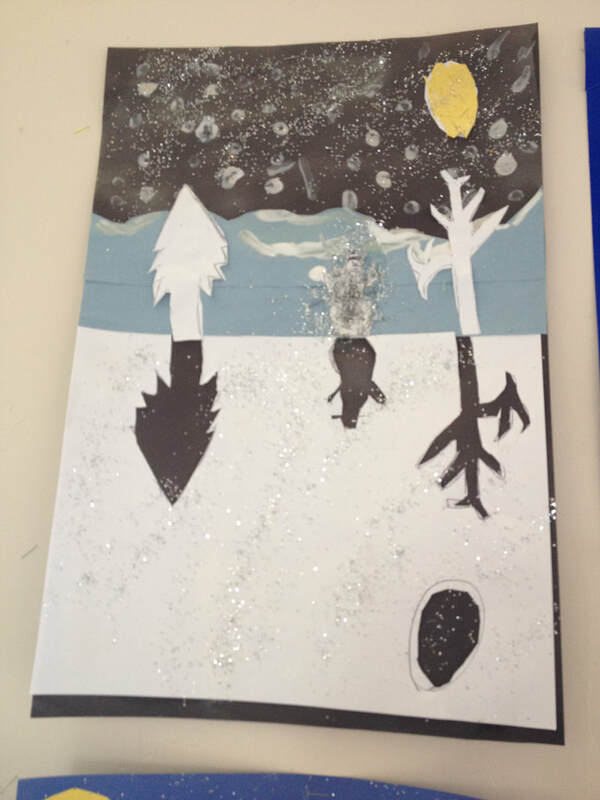 The theme for December's art lessons was crafts, collages, and print making. 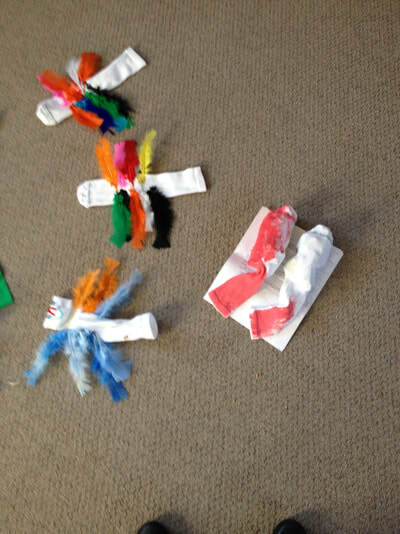 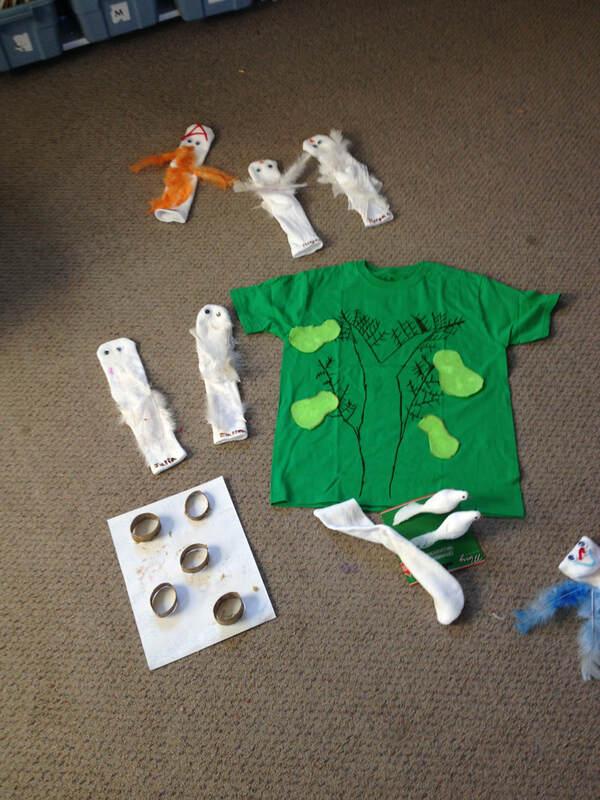 Primary Class enjoyed making their sock puppets for the Christmas performance. 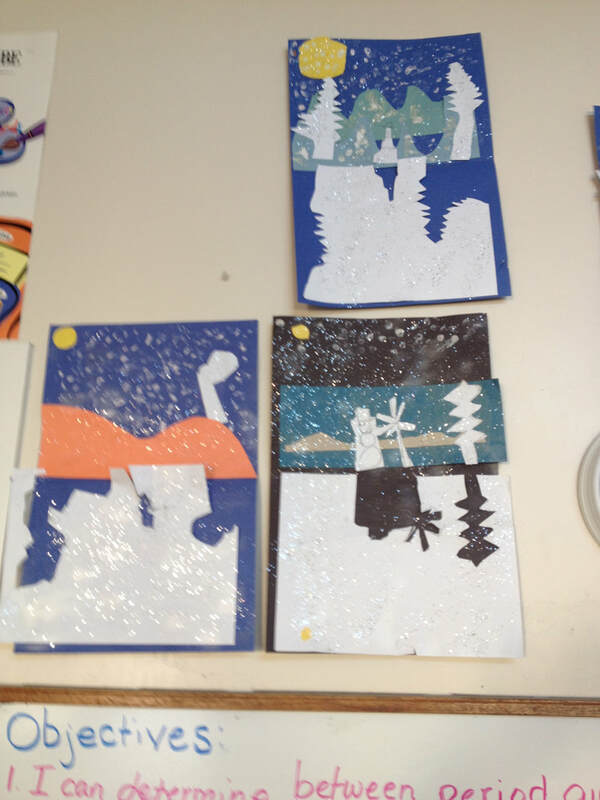 We designed a winter collage and learned about symmetry as well as positive and negative space. 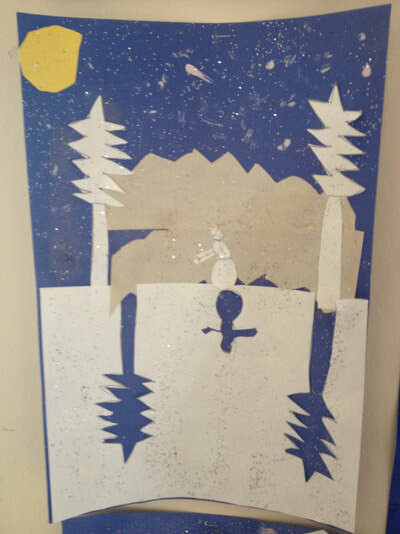 The primary class students also enjoyed working with wallpaper samples to create a music instrument collage- cubist style. 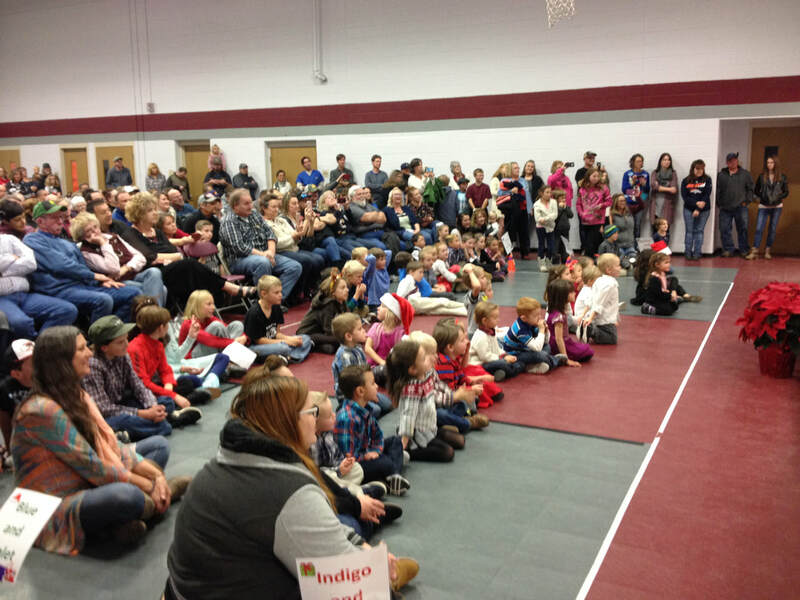 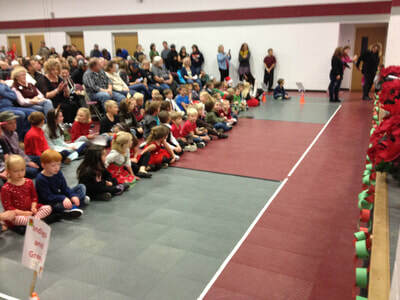 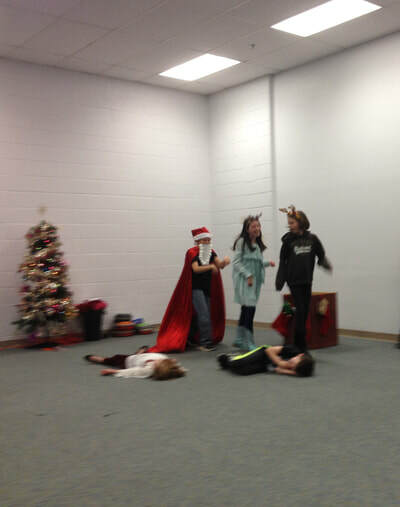 The Christmas Performance marked the highlight of last semester and I believe it was a success! 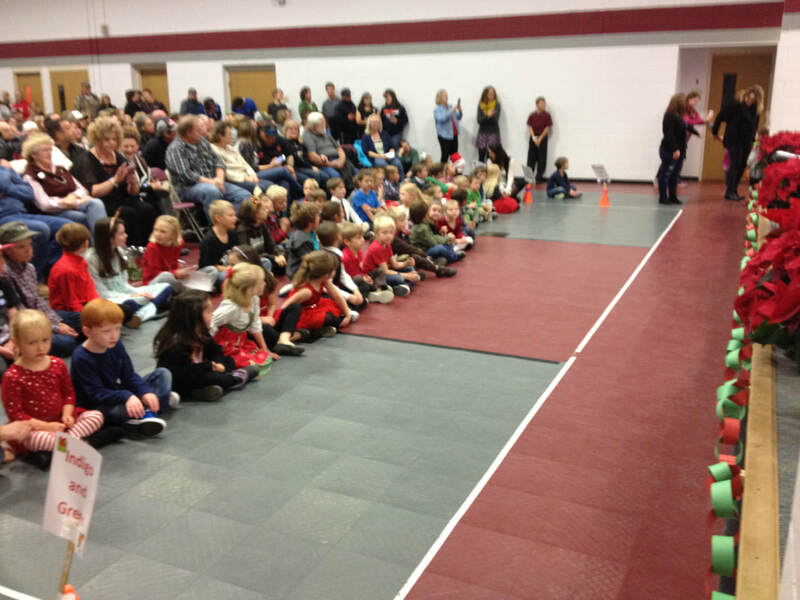 The 12 Days of Christmas song came together very nicely and aside from a little stage fright and giggles, everyone did a great job. 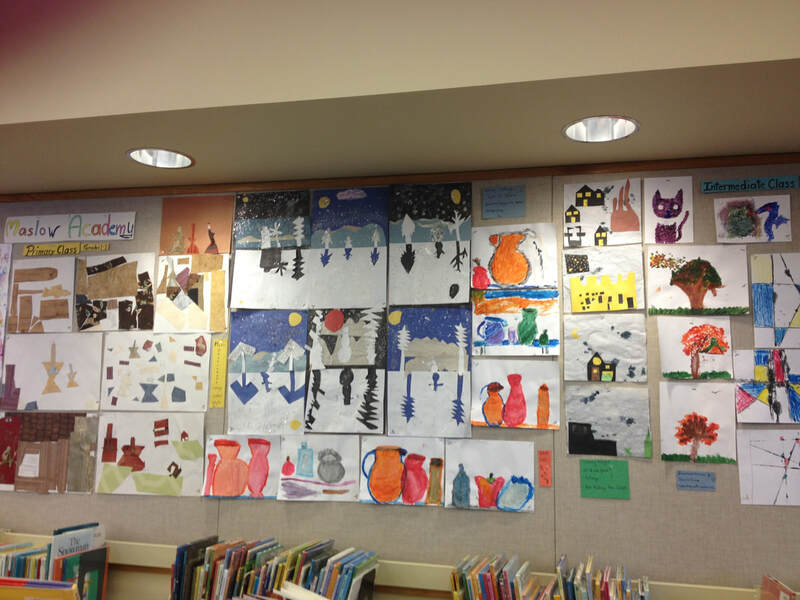 I have selected art projects from both classes, as well as Blue and Violet class to display at the Montrose Library this month. 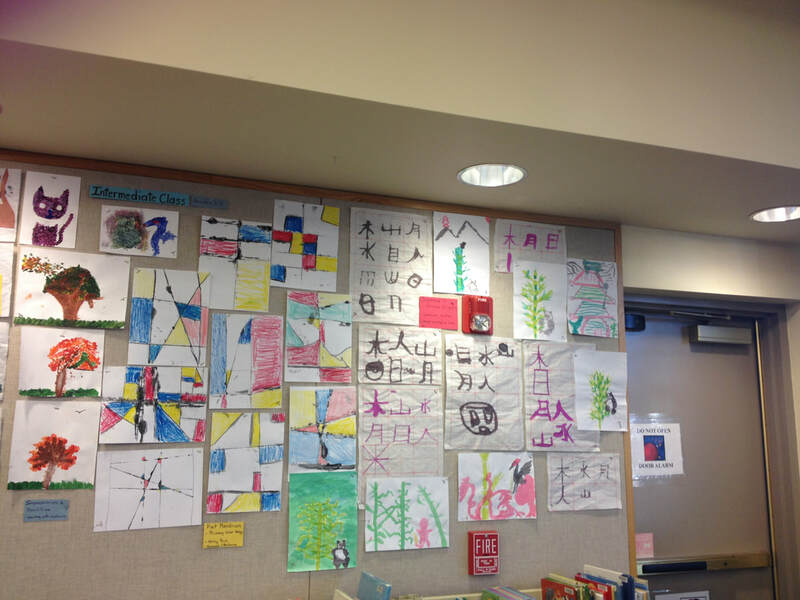 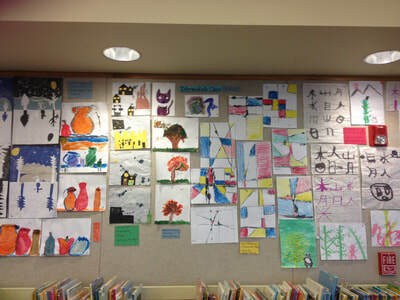 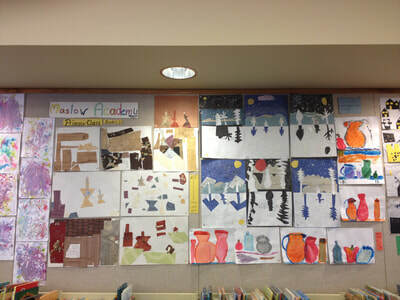 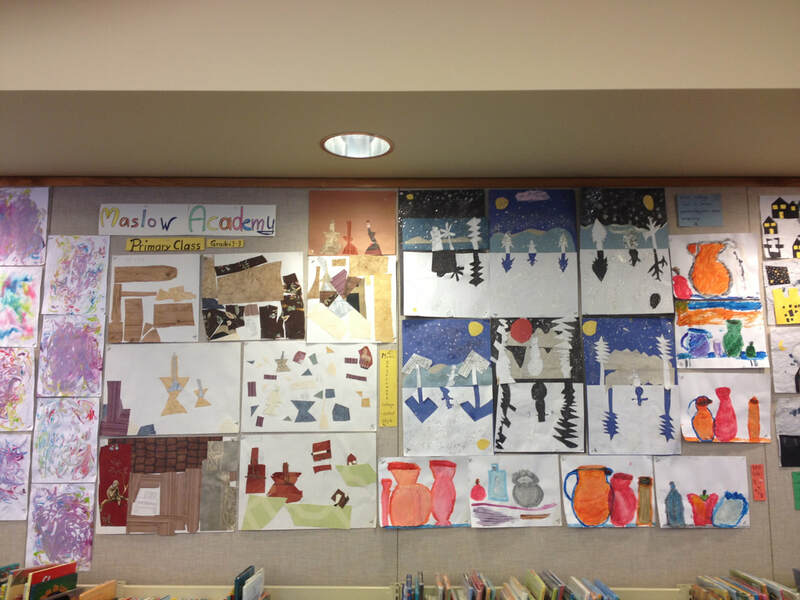 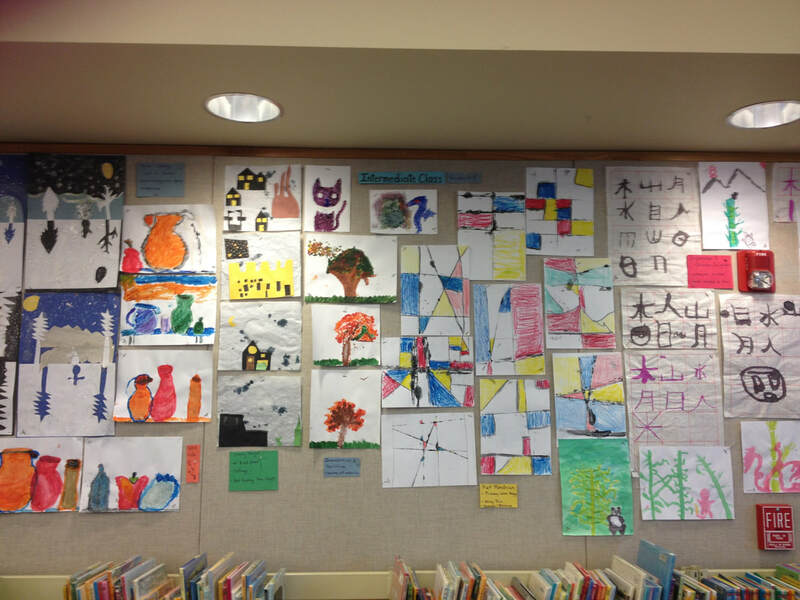 Go check out the art wall in the Children's section next time you go to the library!